Make your holiday glitter with these sandwich Christmas cookies that are just soooo adorable. Each piece contains just the right yumminess, you’ll want another one and then some more! I don’t think Christmas is complete without some gingerbread men, they’re practically part of the tradition. What makes this gingerbread cookie recipe special is that they freeze well for up to 3 months, so you can make them ahead ready for the holiday feast. They should go well with your gingerbread house. Want more?… Check out 16 of DIYProjects’ Favorite Christmas Cookies! Instead of the regular choco chips, why not add candy-coated chocolate M&Ms to your oatmeal cookie recipe? 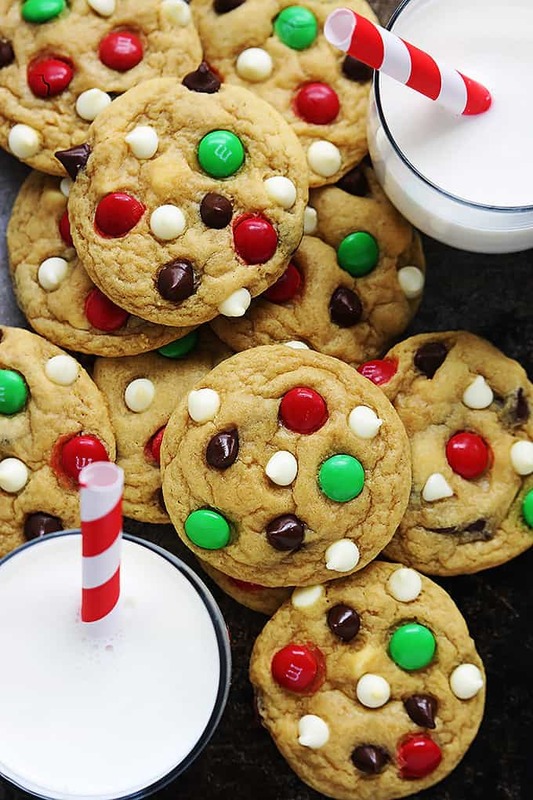 You can add all the different colors or you can pick only the green and the red ones for a seriously Christmassy feel to your homemade cookies. 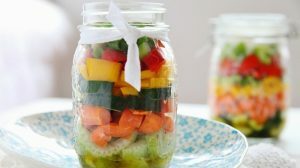 You might also want to check out this M&M mason jar cookie recipe if you’re considering mason jar cookie mix for gifts. Naturally gluten-, grain-, and dairy-free, just plain healthy! 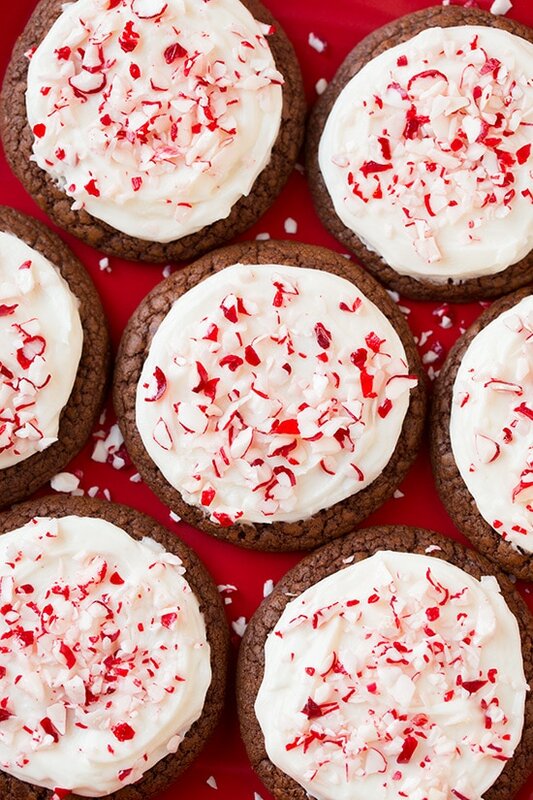 These peppermint chocolate puddle cookies have a lot going on in its tiny little package, and so, they’re Christmas-perfect. Make Christmas cookies even Santa will love. I’m sure your kids will get the gift they wished for when you make these cookies. We have Christmas cookies with choco chips and we also have one with M&Ms. Well, these Santa cookies have both and no cookie could be merrier this year! I just love the color of Christmas, red and green. I’d have to say my favorite color is really blue, so might as well have them all in my Christmas cookies. These cute little snowmen with an Oreo surprise are just divine! Looking for easy Christmas cookie recipes? In case you’re not feeling sweet meringues, this Christmas tree treat version should do the trick. Kids and adult alike will dig this crushed cereal with peanut butter cookie recipe for the holidays! This will go great with hot chocolate and I think that’s obvious. We can never have enough of chocolate and these hot chocolate cookies will warm you up on a cold Christmas night. Stars don’t just belong on top of your Christmas trees. You can also have them on your plate. And you will love the look of these healthy almond and cinnamon Christmas stars on your plate all dusted in snow-like sugar powder. There’s nothing better than Grandma’s cooking. I’m sure you’ll agree when you try this easy shortbread cookie recipe. 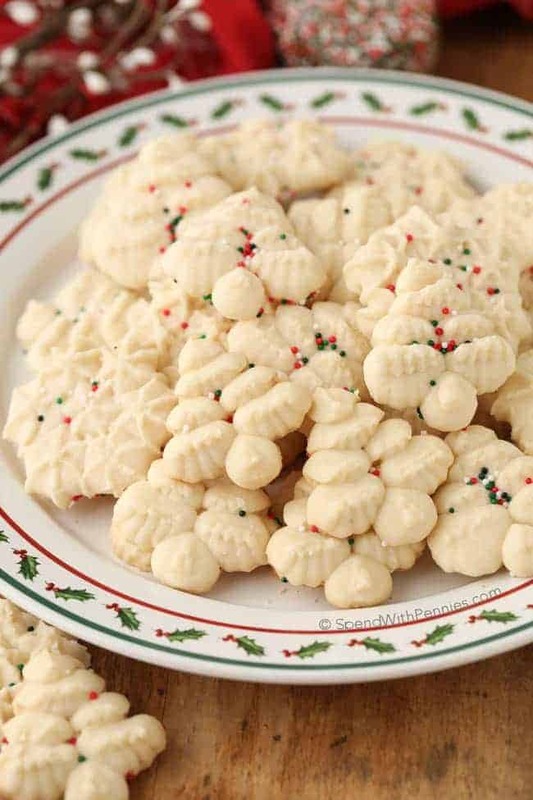 Use snowflake- and Christmas tree-shaped cookie presses for Christmas-themed cookies for the holidays. You’ve never seen a more festive Christmas cookie recipe than the one we have here. Well, we saved the best for last. There’s so much going on in this candy cane kiss cookie recipe but it makes you just all the more drawn to its yuletide character.